Complete unedited manifesto can be found here. 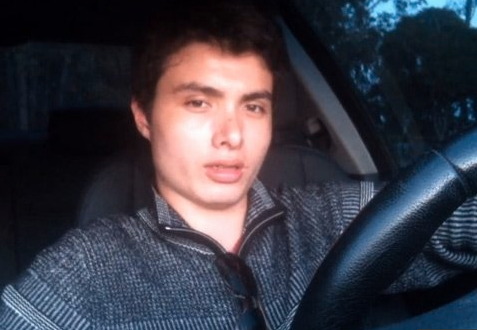 And so begins the autobiographical, self proclaimed manifesto of Elliot Rodger, the alleged gunman who opened fire last Friday on the campus of UCSB. This is not really a manifesto at all but rather a tragic story of an individual's slow descent into the psychotic realm. A lost child unable to find an authentic sense of self and who clings desperately to a idealized false self. The author describes, chronologically, in great detail his gradual decline from a somewhat unremarkable childhood into his adult “twisted” world. Upon reading through his journal it is hard to put your finger on any one event that could have been the “trigger” to cause the diabolical transformation from wounded child/adult to homicidal maniac. What was wrong with Elliot Rodger. From a psychological point of view we might have tried to rule out (or rule in) Narcissistic Personality Disorder as described by the Diagnostic and Statistical Manual Of Mental Disorders (DSM V). To match this diagnosis an individual would need to exhibit at least 5 out of the 9 criteria. believes they are "special" and unique which separates them from others. often a need for excessive admiration. a strong sense of entitlement. is interpersonally exploitative, that is they tend to take advantage of others vis-à-vis manipulations. From his own words and writings, it appears that Elliot Rodger matches 8 of the 9 criteria of a Narcissistic Personality Disorder. That is certainly a compelling argument for NPD. Does NPD alone turn a person into a killer. The short answer is no. NPD, however, if left untreated and perhaps if it is co-morbid with other disorders certainly can set the stage for extreme and unpredictable behavior. Something went wrong here. Our system failed Elliot Rodger and more importantly, the victims of his actions. According to numerous news reports Rodger was being treated by multiple counselors over the years. It's not clear if they had experience in treating disorders such as NPD. One thing is certain, if one of the "therapists" who treated Rodger had pick up the DSM (a mental health professional's equivalent to the bible) they would have had to work hard to not see the glaring evidence that would suggest Rodger was suffering from NPD and should have ordered further psychological assessments. American Psychiatric Association. (2013). Diagnostic and statistical manual of mental disorders, fifth edition. Washington, DC: American Psychiatric Association. Was the Santa Barbara Shooting a Tarasoff mandate failure? Tarasoff ruling states that a psychotherapist has a duty to protect or warn a reasonably identifiable third party (victim) if the therapist has reasonable suspicion that the patient poses a serious risk of inflicting serious bodily injury to the victim. 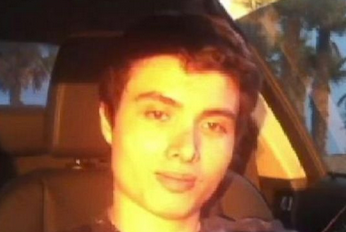 According to numerous news reports, Elliot Rodger discussed plans to inflict harm onto his fellow students at University of California, Santa Barbara (UCSB) campus through a series of YouTube video postings weeks before he actually executed his plans. At the time of these videos it has been stated that Rodger was under the care of a social worker (psychotherapist). If Rodger had discussed any of what he posted publicly with his therapist, would this be enough information to trigger a Tarasoff warning? Would love to hear comments and opinions from readers and colleagues regarding Tarasoff and this case. video he posted hours before the attack. LA Couples Therapy Presents a workshop on conflict resolution skills for couples. and how to come out of your fight with a stronger understanding of each other. To find out more click on LA Couples Link below. Mark Allison discusses how people make lasting changes in their lives. A short discussion about Interpersonal neurobiology approach to change.